In the Continental United States For all orders $1000 or more. "Supplier of Rolls-Royce & Bentley Motor Car parts since 1979"
We are one of the largest independent, online suppliers of rubber seals, new old stock, used, OEM, tune-up & overhauled parts for Rolls Royce & Bentleys, featuring one of the largest supplies of rubber seals and weatherstripping in the world. We have furnished our weatherstripping to the Rolls-Royce & Bentley Motor Car Factory in Crewe, England by contract since 1981. Suppliers of Original, Reproduction, Rebuilt, OE and Used Parts for Rolls-Royce and Bentley Motor Cars. 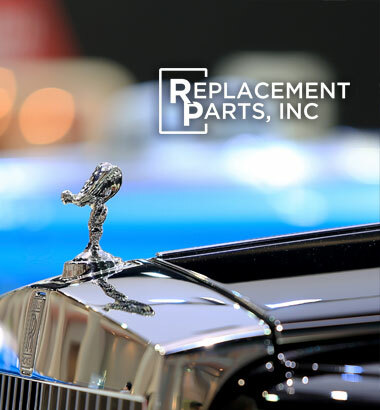 If you can't find the part you are looking for, contact us and we will help you find it.